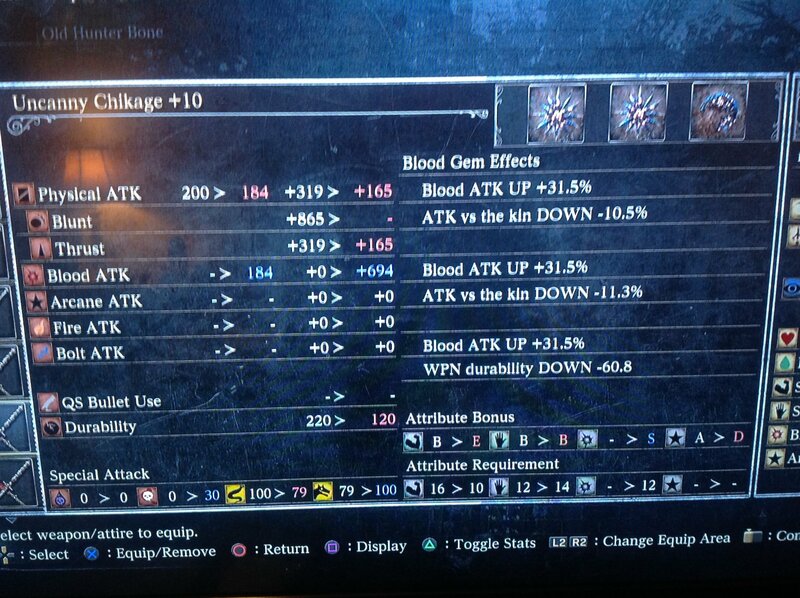 This totals 94.5% Blood atk increase. This will give you 349 Physical ATK and 878 Blood ATK. Does some real damage.